Get rid of bloat and clear your skin Spring is officially here even though it might not look like it in my back yard or yours. Whether the birds are chirping in your area or you’re still hanging in there with the snow storms in the Northeast (I’m right there with you,! ), Spring flowers are definitely headed our way. And if you’re anything like me, Spring comes with a top to bottom house cleaning, closet cleaning, cabinet and refrigerator (what is this?) tossing. That means everything from dusting the tops of the kitchen cabinets to prepping the garden. I can’t wait for the garden! I’m grateful for my herbs on the windowsill year round and my thyme that still thrives in spite of the snow outside. That is planted right outside my front door. Your body is the home you carry with you, and it could use a recharge or a little maintenance after the long, dark, energy draining winter months. Remember your beautiful body is the home you carry with you everywhere and it needs your love and attention. I’m starting a 7 DAY JUICE CHALLENGE! I’d love to have you join me. 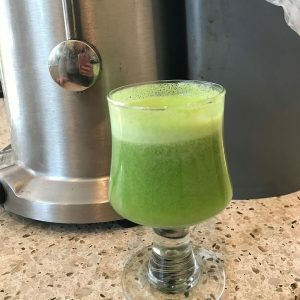 Head over to my Facebook Page @metamorphosisbodymindspirit In the comments section of this post just post a picture of your juice you made and share the ingredients. Your body will thank you and whoever is reading these posts will get some great ideas. Please Join ME!! To your vibrant health and happiness! Drinking your fruits and veggies is one of the most effective ways to get energized, fight inflammation and boost your immune system. 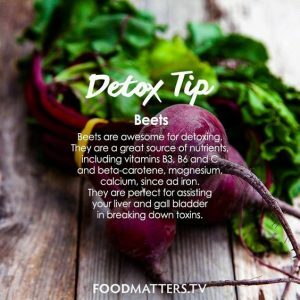 And it just takes one green juice or smoothie a day for 7 days to see the benefits. It really is easy. If your don’t have a juicer make a healthy smoothie. The Green Juice pictured is 1 Pear, 2 stalks of celery and 2 cups of spinach.